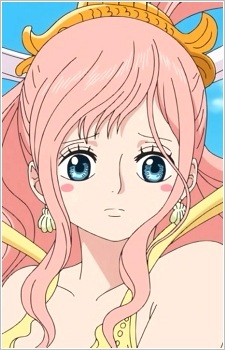 Princess Shirahoshi, known as the "Mermaid Princess," is a giant smelt-whiting mermaid and the youngest of King Neptune's children. She was first mentioned by Pappug, claiming he knew her and even promised to introduce her to the Straw Hat Pirates when they arrived at Fishman Island (though later this is revealed to be a lie). She is the Ancient Weapon: Poseidon. There's a whole different world under the water, where you'll find the wonderful half human, half fish being - a mermaid. Take a deep breath, we're going down!